If you don't have anything queued up for the upcoming weekend, we are here to help. 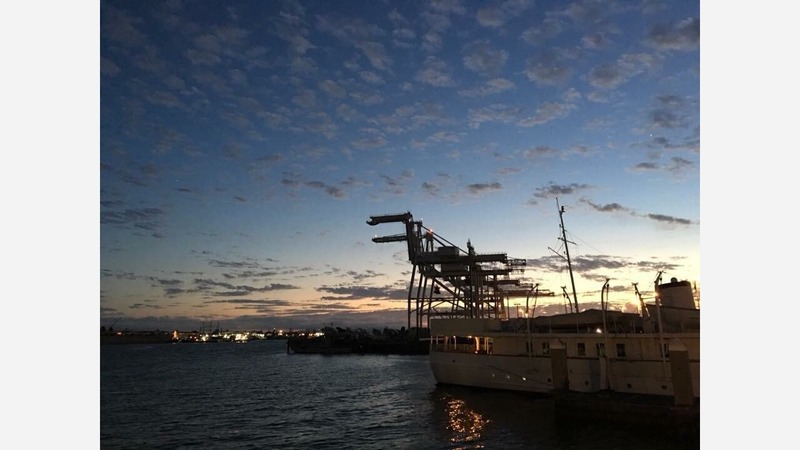 Tomorrow evening, take a free tour of the Port of Oakland Harbor to learn more about what goes on behind the scenes at one of the country's busiest ports. Fans of film noir should head to the Paramount for a screening of the 1941 classic, The Maltese Falcon, starring Humphrey Bogart. RSVP now for the return of the I Hella Love Oakland rooftop day party on Saturday at Oeste, join a walking tour of several well-known murals with a local artist, then end your evening at Mortified Oakland, where participants will reveal their most embarrassing letters and journals before an audience. Treat a special someone for Mother's Day on Sunday -- District Oakland is offering a all-you-can eat breakfast buffet and bottomless mimosas, Golden West is runninga Mom-friendly beer tour, and Homestead is serving a $65, three-course prix fixe supper.